>>Your COMMENTS are always welcome. P.S. 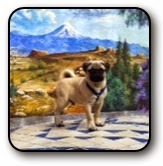 Check out my guest-bloggers' posts in 2014: Claudia H. Long, Clifford Garstang, Gin Getz, Heidi M. Thomas and my San Miguel amigo John Scherber. Besides blogging, what else was I up to? I brought out the new book in both English (Metaphysical Odyssey into the Mexican Revolution) and Spanish (Odisea metafísica hacia la Revolución Mexicana), survived the Texas Book Festival, plus posted 3 "Marfa Mondays" podcasts. Marfa Mondays podcast #16, an interview with photographer Paul Chaplo, author of the stunning Marfa Flights, will be available for download in the next few days. Oh, and thanks to some input from two hour consult via Skype with writers' guru Jane Friedman, I reorganized and redesigned my webpage, adding new subpages "For Readers & Explorers," "For Mexicophiles" and "For Creative Writers." 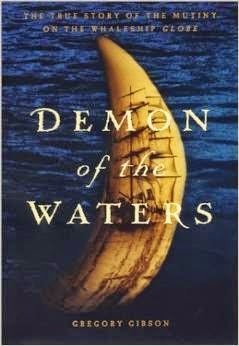 A splendid, intrepid, and thoroughly original marvel of a travel memoir. Most interestingly, in this day & age of facebookesque over-sharing, Emma Larkin has no web page nor author "head shot"-- such is the nature of her work. Dear reader, if you don't know who George Orwell is, get your 1984 here. P.S. Emma Larkin on pen names. This may not qualify as a "literary gem," but it takes stupendous guts and a heart as big as the world to offer up such a gift as this author, now elderly, did with his memoir. I would go so far as to say, don't depart Planet Earth without having read this book. Truffle-rich, cumin-exotic, from Mutanabi Street to Céline's ballets, Gutenberg and the Koreans, a winged sphinx and an iron man and Nur Jahan-- oh, and a beturbaned Sadakichi Hartmann-- these world-trotting essays make one groovy box of idea-chocolates. 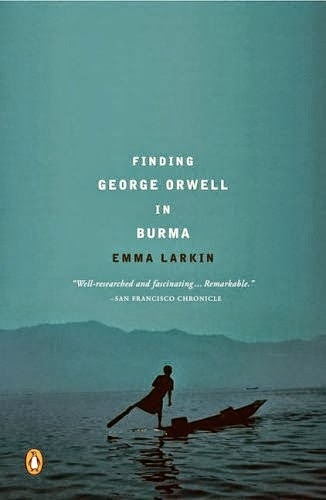 Read my post about Kindles and the Kindle edition of this extraordinary travel memoir / history, which has the strangest ending of any I can think of... (no worries, I won't give it away). 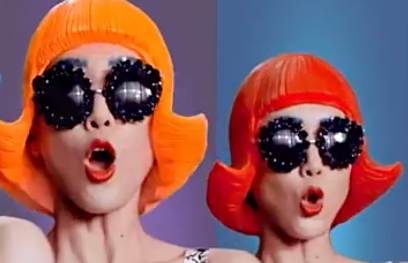 Deeply, wonderfully weird. Actually made me nostalgic for high school geometry, college calculus, and linear algebra, too. Read my post about this five star memoir of a soon-to-be Baja bohemian in Franco's Spain. If you don't love Texas and Texans, you will at least be thoroughly charmed (I mean, "thuruhleh chahmd") after reading Lonn Taylor's latest collection of columns for the Big Bend Sentinel. Plus, he's knee-slappingly hilarious, in a southern-gentleman-historian kind of way. As those of you who have been following my blog know, I've crunched through a heap of Afterlife literature in researching my book, Metaphysical Odyssey into the Mexican Revolution: Francisco I. Madero and His Secret Book, Spiritist Manual. I read Assante's book too late to include it in my bibliography, alas. If you're willing to explore this subject (and I know not everyone is) I would suggest that you first read Eban Alexander's Proof of Heaven: A Scientist's Case for the Afterlife, then, highlighter in hand, Julia Assante. This is one of the most powerfully moving books I have ever read. It tells the true story of the 1979 rescue of an elderly couple, Warri and Yatungka, the last of the Mandildjara people, marooned in the vastness of Australia's Gibson Desert, starving and slowly dying of thirst. The Japanese Art of Decluttering and Organizing. A one-time Shinto shrine maiden, Kondo bases her "KonMari" method on the assumption that one's house and all the objects in it have consciousness but, boy howdy, even if you're a die-hard materialist, follow her method and you'll zoom to a wiggy new oxygen-rich level of tidy. I am not kidding. This piece in the NYT is must reading for anyone interested in Mexico. P.S. This blog doesn't cover contemporary politics, but for those of you looking for a good source in English for what's happening in Mexico, I recommend signing up for the free emails from the Wilson Center's Mexico Institute of links to major articles in a variety of media. Marfa Mondays Podcast #15 is now live. 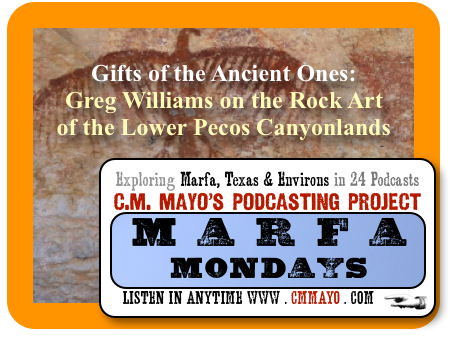 Listen in anytime to my interview with Greg Williams, Executive Director of the Rock Art Foundation. 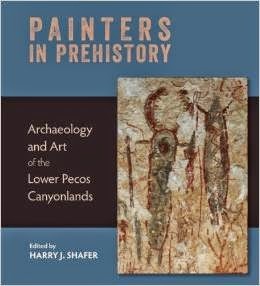 Though the Rock Art Foundation's tours and website have been spreading the word, it still seems a well-kept secret that some of the most spectacular rock art in the world is tucked into the nooks and crannies of the Lower Pecos Canyonlands of Far West Texas (and into Coahuila, Mexico). 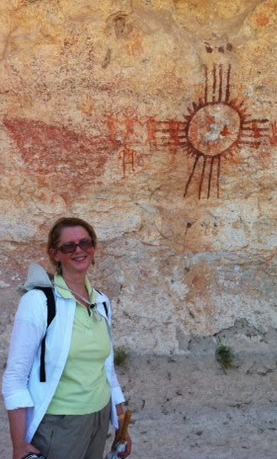 I had the great privilege of being able to view some it, specifically, the rock art at Meyers Springs, through the tour offered by the Rock Art Foundation. My interview was recorded in the Meyers Springs Ranch house kitchen, just after the four hour tour (and target shooting had commenced). > Listen in anytime to all the Marfa Mondays podcasts here. Totally heart SlowFactory's space scarves Carina Nebula and Dust Devil Lines in the Sand. In the Globe and Mail: "When a Car Becomes a Cathedral." On This is Colossal: Eleanor Lutz's deconstructed bird and insect wing patterns. Human energy expert Rose Rosetree explains the deeply weird attraction to unwrapping stuff on YouTube. SOL Literary Magazine is out from San Miguel de Allende and I am delighted to mention that it includes an excerpt from the opening chapter of my latest book, Metaphysical Odyssey into the Mexican Revolution: Francisco I. Madero and His Secret Book, Spiritist Manual. That's in the nonfiction section with some excellent company, including Joseph Dispenza, Gerard Helferich and Michael K. Schuessler. Thank you, Eva Hunter and Cazz Roberts and all who work to make this beautiful literary magazine possible. It is an honor indeed. A documentary film about border collies and sheepherding that I really want to see (splendid trailer! ): "Away to Me" by Andrew C. Hadra. My own top 10 list of books read 2014 will be posted shortly. Read the November 2014 newsletter >here<. And you are very welcome to sign up for the next one right >here<. 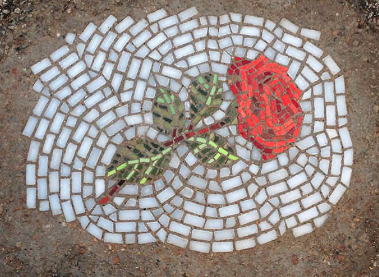 In progress: three podcast interviews, all fascinating, Rose Mary Salum for Conversations with Other Writers, and Greg Williams and Paul Chaplo for Marfa Mondays. Look for them next month. Though the recent protests in Mexico City's historic center have made it impossible to continue the lecture series on Francisco I. Madero as originally scheduled in the National Palace, the lectures continue at the same day, same time, right next door in Museo de la SHCP / Antiguo Palacio del Arzobispado, Moneda 4. This is an watershed of a conference. For those of you foggy on your Mexican history, Francisco I. Madero was the leader of Mexico's 1910 Revolution and President of Mexico, 1911-1913. He was also a Spiritist medium, a leading Spiritist organizer and evangelist, and as "Bhima," the name of a Hindu warrior, the author of a secret book, Manual espírita. 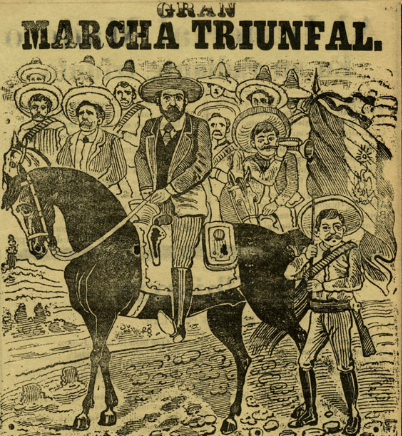 A handful of Mexican historians, including Enrique Krauze, have written about Madero's Spiritism and how it was the source of his political inspiration and platform. Yet, incredible as it may sound, most historians of the Revolution, apart from a lickety-split footnote, have almost completely ignored it. As I noted in my talk for the American Literary Translators Association, I believe one reason is that most historians, who know next-to-nothing about it, consider Spiritism mere superstition and so beneath their notice. In my book, Metaphysical Odyssey into the Mexican Revolution, I have much to say about cognitive dissonance and the rich esoteric matrix from which Madero's version of Spiritism sprang. CARLOS FRANCISCO MARTINEZ MORENO will talk about "Masonry, Spiritism and Hinduism: Interconnected Strands in Madero's Trio of Mystic Pillars"
Yours Truly, C.M. MAYO, will talk about my book, Metaphysical Odyssey into the Mexican Revolution: Francisco I. Madero and His Secret Book, Spiritist Manual [Odisea metafísica hacia la Revolución Mexicana: Francisco I. Madero y su libro secreto, Manual espírita], and IGNACIO SOLARES, an expert on Spiritism, will speak about his acclaimed novel, Madero, el otro [Madero, the Other]. and most recently, last Tuesday, ALEJANDRO ROSAS ROBLES talked about "The Revolution of the Spirits" and MANUEL GUERRA, the lost Spiritist writings of Madero. 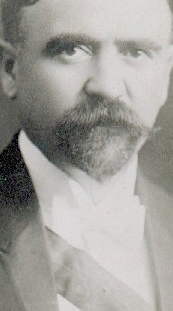 Manuel Guerra de Luna is the author of Los Madero: La Saga liberal, and of the screenplay for the excellent documentary film directed by Alejandro Fernández Solsona, 1910: La Revolución espírita. Alejandro Rosas Robles, a prolific and very popular historian in Mexico, is the author of many books and editor of the 10-volume series of the collected works, Obras completas de Francisco Ignacio Madero (Clío, 2000). Madero's channeled writings end abruptly in 1908. Based on a comment in one of Madero's letters, Guerra de Luna believes that at that time, Madero stopped "automatic writing," adopting the method of channeling he considered more advanced: direct telepathic communication. One of the points I make in my book is that Madero's Spiritism was based on was very different from that of mid-19th century Spiritists, for by the late 19th century, thanks to various occult philosophers, Theosophists and others, Hindu philosophy and in particular, the Bhagavad-Gita, had become an important influence. In addition, Madero was a Mason and Rosicrucian. Next Tuesdays' talk by Carlos Francisco Martínez Moreno, an expert on Masonry, will be sure to be especially illuminating. As for the recent political tumult here in Mexico, I steer clear of discussing current politics on this blog, but I will go so far as to suggest that a good source of reporting and opinion in a variety of media in English is via the Woodrow Wilson Center's Mexico Institute. The email signup is on their webpage. 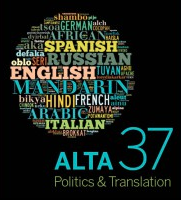 Just back from ALTA, the American Literary Translators Association conference held this year in (brrr) Milwaukee, which had the theme "Politics & Translation." If you've been following this blog, you've already read reams about my latest book which is, indeed, about politics: Metaphysical Odyssey into the Mexican Revolution: Francisco I. Madero and His Secret Book, Spiritist Manual. Herewith the text of my talk for the second panel, "Why Translate?" A transcript of the talk for the panel "Why Translate?" I translate for the same reasons that I write. There are many, but we have only a few minutes, so I will focus on two, which are: I want to understand, and I want to share that understanding. Sharing might just be with myself, as in a diary entry, or with a cadre of of loyal readers and any Internet surfers who happen onto this blog, Madam Mayo. Sharing ramps up, of course, when we start talking about books. People have many different and varied motivations for writing and publishing books— and for some, one of them is nothing less than to change the world. Or maybe, to change our understanding of some aspect of the world— and so change the world. Whether in its original language or as a translation, a book is a vector for a set of ideas, a very unusual and efficient vector, for it can zing ideas from mind to mind, spreading out over great distances and, potentially, far into the future. Books can travel through two systems, or rather, an array of systems: at one extreme, the heavily intermediated, and at the other, the direct. Our commercial publishing industry constitutes that first extreme. To give a stylized example, a book comes into the hands of an agent, then an acquiring editor, perhaps a developmental editor, a copyeditor, a book designer, a formatter, a cover designer, the proofreader, the printer, the delivery truck driver, the warehouse employees, the distributor, the sales rep, the bookstore's buyer, and so on and so forth until, finally, the cashier hands the book to its reader. Very possibly multiple corporate entities and dozens of individuals play some role in bringing a book to any given reader. At the other extreme, I scribble on a piece of paper and hand it to you. I submit that we tend to over focus on this heavily intermediated system; we often overlook the fact that it is not the only or even necessarily the best way for a book to fulfill its purpose. I'm going to focus on two books, both political, both by Francisco I. Madero. 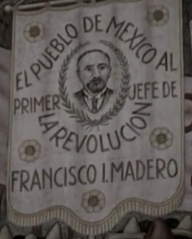 If you are at all familiar with Mexican history, Francisco I. Madero needs no introduction. If Mexican history is a mystery to you, the main thing you need to know is that Madero was the leader of Mexico's 1910 Revolution and President of Mexico from 1911 to 1913. His first book, La sucesión presidencial en 1910, or The Presidential Succession in 1910, published in 1909, served as his political platform in challenging the old regime. 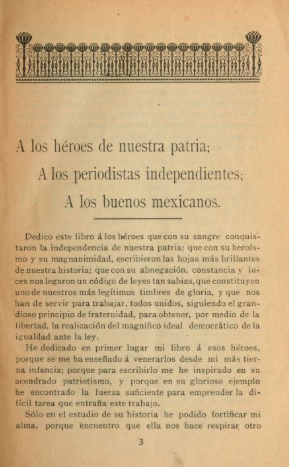 Though it was after the stolen elections of 1910 that Madero declared the Revolution on November 20, 1910, informally, we could say that the Revolution was launched with this book. 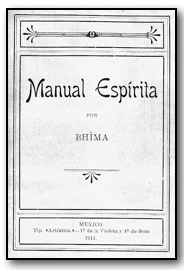 Madero's second book is Manual espírita or Spiritist Manual, which he finished writing as he was preparing for the Revolution; it began to circulate in 1911, when he was president-elect. It is this second book which I translated, and my book about that book, which includes the translation, is Metaphysical Odyssey into the Mexican Revolution: Francisco I. Madero and His Secret Book, Spiritist Manual. Francisco I. Madero intended his Manual espírita to be a beam of light, to heal Mexico and the world with his consoling concepts of the nature and meaning of life. However, it is a book that stands on the shoulders of his first book that was, indeed, a loaded gun: La sucesión presidencial en 1910, published in the winter of 1909 when Don Porfirio Díaz, the dictator who had stolen the presidency in a coup d’état and ruled Mexico on and off for over thirty years, was about to celebrate his eightieth birthday and, as Mexico’s so-called “necessary man,” take for himself a seventh term. [T]he first precaution I took was to hand out 800 copies to members of the press and intellectuals throughout Mexico, so when the Government got wind of the book’s circulation, it would be too late to stop it. . .
Now when we come to Madero's second book, Manual espírita, or Spiritist Manual, there are two reasons the subtitle of my book calls it his "secret book": First, he wrote it under a pseudonym; second, incredible as it may sound, for the most part, historians have ignored it. 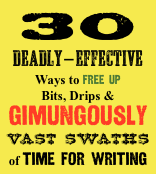 A few have begrudged it a footnote; only a very few— so few that I can count them on one hand— have dared to write about it in any depth and seriousness. In 1911 five thousand copies of Madero's Manual espírita went into circulation, one assumes, among Spiritists. 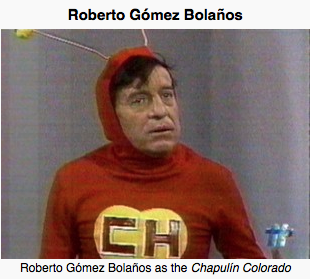 It was reprinted in part by Madero's enemies, the Reyistas, as an attack-- their message being, "Madero is the true author, you see what a nut he is." And I discovered that in 1924 Casa Editorial Maucci in Barcelona brought out a reprint (print run unknown). I do not know what influence the Manual espírita may or may not have had in spreading Spiritism, whether in Mexico or abroad—it would make a fine PhD dissertation to delve into that question— but as far as historians of Mexico are concerned, until very recently, and apart from a very few and very hard-to-find editions published in Mexico, essentially, the Manual espírita disappeared into the ethers. In 2011, one hundred years after its publication, I published the first English translation as a Kindle. 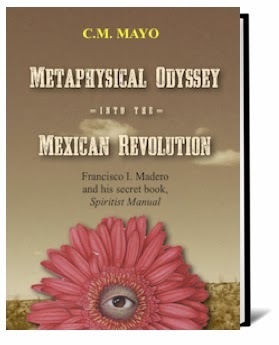 Earlier this year, 2014, I published my book about the book, which includes Madero's book, under the title Metaphysical Odyssey into the Mexican Revolution: Francisco I. Madero and His Secret Book, Spiritist Manual in both Kindle and paperback editions. And like Madero himself with both his books, I self-published. Third, for many readers, Spiritism is at once disturbing and beneath their notice. Let's say, all this concern with the Afterlife and communicating with the dead creeps them out, as would a book on, oh, alien abductions or crop circles. And I believe this explains why even many of the leading historians of the Mexican Revolution do not know about Madero's Spiritism, or know next to nothing about it. To give you an idea, one major textbook does not deign to mention it, while another textbook, also published by an important university press, blithely labels Madero an atheist, which is rather like calling the Pope of Rome a Protestant. In our day, what we think of as self-publishing usually includes intermediaries such as amazon.com. In my case this would be amazon.com and Ingram. Ingram's recent move into the realm of self-publishing is really the topic for another panel, but suffice it to say that for traditional publishing, no exaggeration, this is as momentous as Hiroshima. Ingram is a major book distributor and now also an on-demand book printer, and what listing with Ingram means is that all major on-line booksellers can now, on demand, easily source that self-published book. Libraries can order it, just as they order many of their books from Ingram, and while Barnes & Noble as well as many other major bookstore chains and independent bookstores may not necessarily stock it on their shelves, it's right there, as easy to order as any other book, on their webpages—again, sourced from Ingram. As for getting my book into people's hands, that is a challenge, for without a publisher, I do not have a marketing staff and sales reps. Like Madero with his La sucesión presidencial en 1910, I simply identified key individuals and gave each a copy. These individuals, mainly but not exclusively academics, are experts on Madero, on the Mexican Revolution, Mexican history in general, the history of metaphysical religion, and Masonry (Madero was a Mason). The process of the book, my little turtle, finding its readers may be a long and winding one, but it is underway [see reviews] and I feel no urge to hurry. Unlike a traditionally published book, which must dash out like a rabbit, digitally available books (ebooks and print-on-demand paperbacks sold on-line) are not so heavily dependent on "buzz" generated to coincide with the fleeting moment when a book, thanks to the efforts of marketing staff and sales reps, might be available on physical shelves in brick-and-mortar bookstores. Like grocery stores, brick-and-mortar bookstores must move their merchandize with the seasons and oftentimes, as with the proverbial cottage cheese, even more quickly. Digital bookshelves, however, are of a different nature; at the click of a button, they can unfurl vast dimensions, additions to which impose a marginal cost approaching, or in fact, zero. Now if, on a Tuesday at 4 am, say, seven months or, say, seven years in the future, someone in Oodnadatta, Australia wants to download my Kindle or order my print-on-demand paperback, with a click, he can do just that. Will my book with its translation of Madero's Spiritist Manual change our understanding of Mexican history? Well, I do think it blasts the sombrero off the reigning paradigm, to consider that Francisco I. Madero, the leader of Mexico's 1910 Revolution— an absolutely transformative episode in Mexican history and the first major revolution of the 20th century—was a not only a Spiritist but a leading Spiritist and a Spiritist medium. Madero believed that he was channeling written instructions and encouragement from spirits in writing both of his books, and furthermore, in his Spiritist Manual, he detailed his beliefs about such esoterica as astral travel and interplanetary reincarnation, and the moral duty of political action. For anyone who chooses to open their eyes and look at the overwhelming evidence, the connection between Madero's beliefs and his politics is clear. As Mexican historian Enrique Krauze writes in his seminal 1987 biography, Francisco I. Madero: Místico de la libertad, in the case of Madero, "Politics does not displace Spiritism; it is born of it." I do not deny other motives and the millions of other participants in that Revolution. But its spark, and the way it played out, and, I believe, Madero's murder, are a radically different story once we take into account his Spiritism. My aim with my book and my translation of Madero's book is to deepen our understanding of Madero, both as an individual and as a political figure; and at the same time, deepen our understanding of the rich esoteric matrix from which his ideas sprang, in other words, not to promote his ideas nor disparage them, but explain them and give them context. It is also then my aim to deepen our understanding of the 1910 Revolution and therefore of Mexico itself, and because the histories are intertwined, therefore also deepen our understanding of North America, Latin America, the Pacific Rim, and more— for as long as a book exists, should someone happen to read it, it can catalyze change in understanding (and other changes) that ripple out, endlessly. Such is the wonder, the magical embryonic power of a book, any book, whether original or in translation: that, even as it rests on a dusty shelf for a hundred years, or for that matter, an unvisited digital "shelf," if it can be found, if it can be read, it holds such potential. So How's the Book Doing? (And How Many Have You Sold? Why Aren't There More Readers?